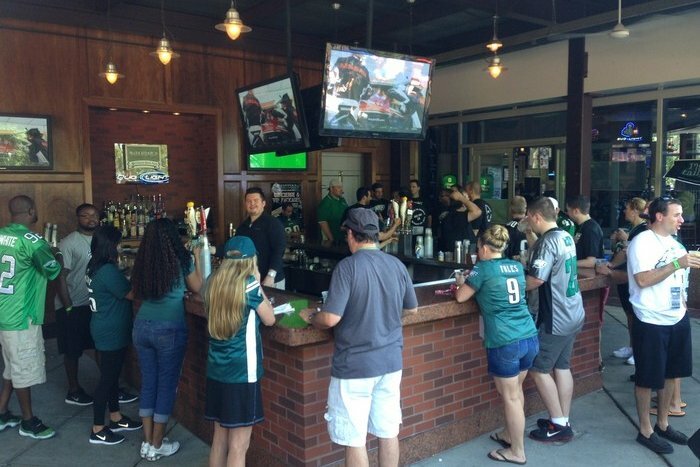 Just last week, the McFadden’s at Citizens Bank Park announced in an Instagram post that it would be closing in “the near future,” while specifying it would be open for the Philadelphia Eagles’ big-time matchup with the Vikings on Oct. 7. The restaurant will have a limited menu, and will open at 11 a.m. – 5 1/2 hours before the Eagles take on the Vikings at Lincoln Financial Field. It also looks like Bryen O’Boyle of Philly band Mr. Greengenes will be playing live music at the event before the Eagles game starts. If the scene down at the Linc is anything like it was when the Vikings came to town in January, it should be quite a Sunday. McFadden’s Ballpark opened in March of 2004.